Say the letters “A” “I” to someone and you will get one of two reactions: either it’s the beginning of the end of life as we know it, or an unheralded force for good. To get some answers on where the truth lies, we spoke to a panel of 25 AI experts from Asia, Europe, the Middle East and North America. 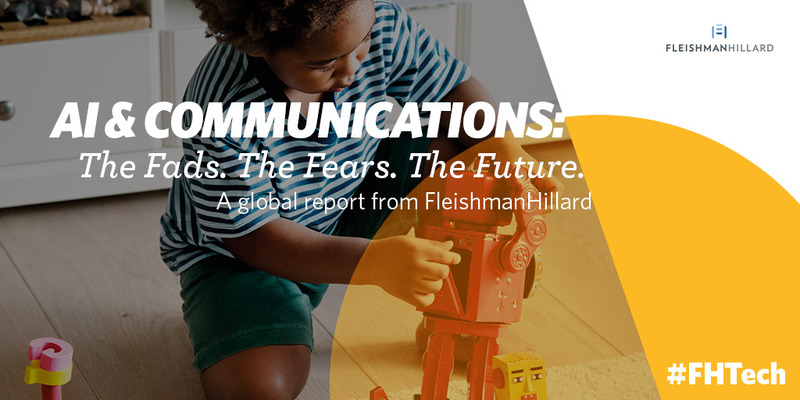 In addition, FleishmanHillard TRUE Global Intelligence conducted research with 2000 consumers looking at their views on AI. The outcome of that research in our report AI & Communications: The Fads, The Fears and The Future. The findings show that there is a knowledge gap and that consumers are looking to businesses, government and academia for education. If the technology industry is to build public trust, we need to address this AI knowledge gap fast. We should reassure both businesses and consumers that AI is not about remote science-fiction style gadgets in 2050. It’s about tools, now, today, that can drive productivity, boost profit ability and — done correctly — help everyone live better lives.